It’s been a while since we said anything about the Mark Wahlberg starrer Six Billion Dollar Man project, but it was ready to go in front of cameras in a couple months and be released next May, or so we thought. Now it appears that scriptwriter and director Damian Szifron is off the project, apparently due to creative differences over his script and possibly a “language barrier” – Szifron (Wild Takes) is Argentinian, and this appears to be his first major English language project. The CW picked up The 100 for a sixth season, just two weeks after season 5 started airing. The show was left behind when the network renewed the bulk of its lineup last month, but it received the renewal yesterday after showing decent ratings on its return. Joining the cast as recurring guest stars in Season 3 are Hannah Waddingham (Game of Thrones), Faran Tahir (Iron Man) and James Callis (Battlestar Galactica). Emmy® award-winner Christopher Lloyd (Back to the Future) is set to appear in a memorable guest-starring role as a deadly cult leader with sinister motives. Matalas, who also has an overall deal with UCP, will make his directorial debut with the Season 3 premiere episode. Original film producer Charles Roven (Suicide Squad, The Dark Knight Trilogy) and Richard Suckle (Suicide Squad, American Hustle) of Atlas Entertainment, as well as David Grossman (Desperate Housewives, Buffy the Vampire Slayer), serve as executive producers. 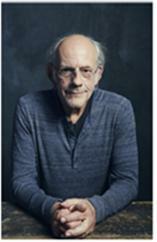 Syfy announced today that award-winning actor Christopher Lloyd (Back to the Future) has been cast in a guest role in season three of the time-travel thriller 12 Monkeys. Lloyd will play Zalmon Shaw, a charming but deadly cult leader who preys upon other’s tragedies and losses in order to recruit new members into the apocalyptic cult the “Army of the 12 Monkeys.” Shaw is the father of the series’ most imposing villain, the enigmatic Pallid Man. Best known for his iconic role as Doc Brown in the blockbuster film series Back to the Future, Lloyd made his feature film debut in One Flew Over the Cuckoo’s Nest and has won three Emmy Awards: one for outstanding lead actor in Road to Avonlea and two back-to-back wins for outstanding supporting actor in Taxi. He is represented by The Gersh Agency and managed by Andrew Freedman. In addition, Terry Matalas, co-creator and series showrunner, will make his directorial debut in the premiere episode, which started production in Toronto this week. 12 Monkeys is produced by Universal Cable Productions, in association with Atlas Entertainment, who produced the original cult classic film, 12 Monkeys. The series, starring Aaron Stanford (James Cole), Amanda Schull (Dr. Cassandra Railly), Kirk Acevedo (Jose Ramse), Emily Hampshire (Jennifer Goines), Barbara Sukowa (Katarina Jones), and Todd Stashwick (Deacon), follows the journey of James Cole, a man from the future sent back in time to stop the malevolent “Army of the 12 Monkeys” from destroying the world. In season three, James Cole and Cassandra Railly embark on a desperate search across time to find the man responsible for the apocalypse, a time traveler who calls himself the Witness. Killing the Witness will mean saving the world. But the journey will come at tremendous personal stakes for both Cole and Railly and will call into question new alliances, old bonds, and the virtue of the mission itself. Plague? Temporal anomalies? Hell on Earth? A psychotic group wanting to end the world? Lately I’ve been in a temporal fog, so missed the announcement earlier that Syfy has ordered up a 10-episode third season to cult face 12 Monkeys! This show has grown into one of my favorites of the current productions. A big congratulations to the cast: Aaron Stanford, Amanda Schull, Kirk Acevedo, Emily Hampshire, Barbara Sukowa and Todd Stashwick, along with showrunner Terry Matalas and the entire crew. Syfy has announced the premiere dates for the first season of Hunters and the second season of 12 Monkeys, both produced by Universal Cable Productions (in association with Valhalla Entertainment and Atlas Entertainment, respectively). Hunters, which debuts Monday, April 8th, at 10/9c, follows Baltimore FBI agent Flynn Carroll (Nathan Phillips, Wolf Creek) as a search for his missing wife leads him to a highly-classified government organization – the Exo-Terrorism Unit (ETU) – who track and fight alien terrorists. Britne Oldford (American Horror Story) plays Regan, a valuable ETU operative keeping secrets of her own. The show comes from executive producers Gale Anne Hurd (The Walking Dead, The Terminator Trilogy) and Natalie Chaidez (12 Monkeys, Heroes), and Emile Levisetti (Royal Pains). Chaidez will serve as showrunner. The series is inspired by best-selling author Whitley Strieber’s novel, Alien Hunter. 12 Monkeys returns for a second 13-episode season on Monday, April 18 at 9/8c. Aaron Stanford (James Cole), Amanda Schull (Dr. Cassandra Railly), Kirk Acevedo (Ramse), Emily Hampshire (Jennifer Goines), Barbara Sukowa (Katarina Jones) and Todd Stashwick (Deacon) reprise their roles. EW is reporting that actors Jay Karnes (The Shield) and Brendan Coyle (Downton Abbey) will be appearing in the upcoming second season of Syfy’s 12 Monkeys. Karnes will recur as a savvy FBI agent in the 1940s named Robert Gale, who believes a series of grisly murders may have something to do with a man named James Cole (Aaron Stanford) — an outsider who Gale suspects might not be from this time. Meanwhile, Coyle will first appear in the season premiere as Dr. Benjamin Kalman, a former Markridge bioengineer racked with guilt over the deadly virus his team gave birth to. Cole and Ramse (Kirk Acevedo) find him in Budapest and recruit him in their efforts to stop the Army of the 12 Monkeys. Syfy’s critically-acclaimed time-travel thriller 12 Monkeys will commence Season 2 production on July 14 in Toronto, Canada. The new 13-episode season will air in Winter 2016 on Syfy, with Aaron Stanford (as time-traveler Cole), Amanda Schull (Dr. Cassandra Railly) and Kirk Acevedo (Ramse) reprising their starring roles. In addition, it was announced today that Barbara Sukowa (Dr. Jones), Todd Stashwick (Deacon) and Emily Hampshire (Jennifer Goines) will also return, now appearing as series regulars. Sukowa’s Dr. Jones is a renowned physicist who, in an unapologetic quest to stop the plague, creates the time machine and recruits Cole to send him back into the past. Stashwick’s Deacon is the cunning and brutal leader of a deadly band of scavengers in 2043 called the West 7. And Hampshire’s Jennifer Goines is a brilliant and unpredictable mental patient with potential ties to the 12 Monkeys’ conspiracy to destroy the world with a deadly virus. Michael Hogan (Battlestar Galactica) will also join the series as a guest star for a four episode arc, playing Dr. Vance Eckland, a charismatic and intelligent scientist from the future. He’s a comrade of Dr. Jones’ working alongside her at the temporal facility — who reveals that they may have a closer relationship than first meets the eye. Terry Matalas and Travis Fickett (Nikita) have been upped this season to Executive Producers and Showrunners with Charles Roven (Suicide Squad, American Hustle, Man of Steel, The Dark Knight Trilogy) and Richard Suckle (Suicide Squad, American Hustle, The International) on board as Executive Producers. 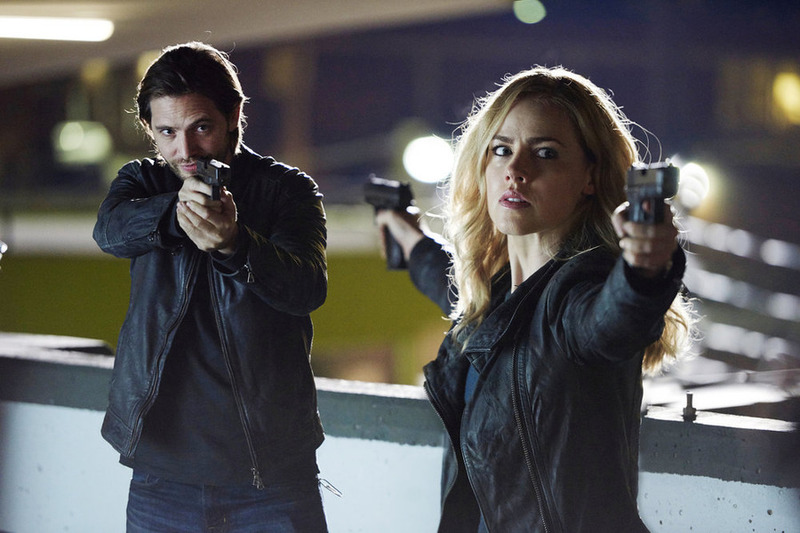 On the season finale of 12 Monkeys, Cole and Cassandra attempt a final confrontation with the Witness, while Jones faces a new threat to the mission. Tune in Friday night at 9/8c!